“In the next five years or so, if you pick up a phone to call a service center, it’s likely you’ll have an algorithm answer your simple kinds of questions, and only if you have a really complex service case might a human still have to deal with you,” said Salesforce Chief Scientist Richard Socher, in a CNBC appearance. The segment is available to watch here. 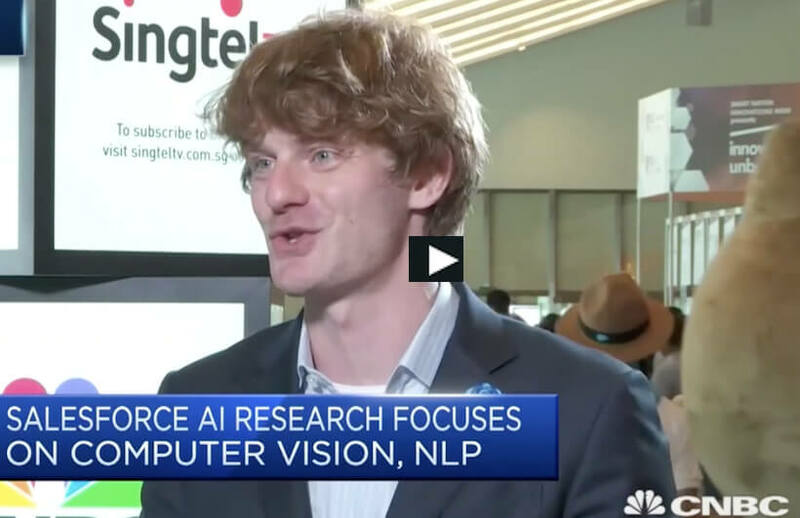 Socher drives artificial intelligence research at Salesforce, focusing on natural language processing, computer vision, machine learning and more. He said that AI will have a profound impact on the service industry, with natural language processing leading the trend. Socher suggested that regulations will be needed as AI directly touches human lives. “We need to have some kind regulation for specific domains. If AI touches medicine you have a reference from the FDA to prove whether you should use algorithms to classify a certain kind of disease or analyze x-rays. If they are applied to transportation, you have the transportation authority to see if certain self driving cars are save enough to drive on the road,” he said.